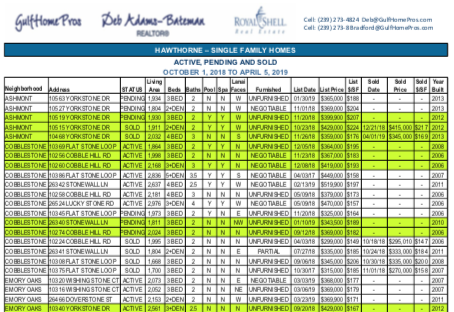 Just updated - see Sales Reports for Hawthorne | Active/Pending and Sold. Sign up here to receive monthly updates. You may unsubscribe at any time.